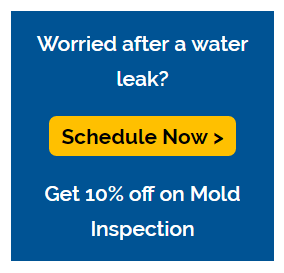 If your home or business needs services for water damage repair Hilton Head SC and has been damaged by water, illness, pet odors, and more, we are the company you can trust to make things right again. We specialize in a variety of issues, including mold damage, water damage and repair, smoke and fire damage, as well as chemical testing and clean up. Whatever it is you are dealing with, Ser-Clean’s insured services can get your home or business back to safe order again, and help you feel confident in your property. Our goal is to help our customers feel great about our service, and offer results they know they can love and trust. We want to keep our community safe from any hazards. We are your water damage repair Hilton Head SC experts that you can rely on in any emergency situation! Your water damage repair Hilton Head SC experts have expertise in water extraction, finding leaks in pipes, addressing any issues with sewage and pipes malfunctioning, restoring a home or business from flood damage, drying services, and much more. Leaking pipes are hard to detect, but they can damage the structure of your home and provide an excellent environment for mold. We’ll help you prevent major issues and save money on your utilities! We inspect your property from dangerous spores and active mold. Mold can cause allergies and respiratory problems, besides destroying your home structure and/or furniture. It’s never pleasant, not always noticeable, but always harmful and hard to get rid of. SerClean has the right equipment and the expertise to remove all mold and prevent it from forming again. You can trust our water damage repair Hilton Head experts. Living in a space where a fire occurred is never safe. You are continuously exposed to chemicals and smoke odors. SerClean is committed to cleaning your home or business from any traces of fire. We do our best to save and repair as many of your belongings as possible. We clean and sanitize all furniture to eliminate completely the smoke odor and have your space back as quickly as possible. Do you need to have your water tested for safety? Do you need to clean the carpets in your home or remove pet odors? Do you think there might be asbestos in your home? Does your HVAC give you allergies? Your disaster services Hilton Head SC experts can help you with any of these. We test for chemicals, make your carpets clean like brand new, eliminate any odors in your home, and keep your family safe from dangerous allergens and chemicals! Our services are available 24/7 for both businesses and homes. If a sudden rainstorm or other issue plagues the area, we can be counted on to offer fast and efficient clean-up and repair for all our customers. Whether we are cleaning up a flooded gym or repairing a basement after it has been engulfed in water, we let our customers know they can rely on us at all times of the day. No disaster damage is too large or too small for us to consider a priority and handle right away. Disasters happen, be it mold, fire, water, dangerous chemicals, or even simple allergens in the air. If they are a problem to you, then we offer a solution to help you get your property back in great condition. Any time of day or night, we can be counted on to give you a safer environment for you, your family, and anyone who comes on your property. For our excellent disaster services Hilton Head SC profesisonals, contact us today at (912) 355-1981! We’re here for you!